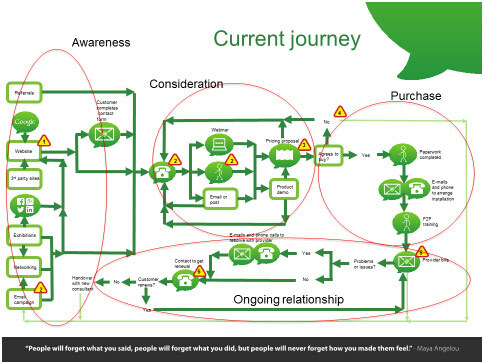 We map and design customer journeys to help businesses understand their customer’s point of view and use that understanding to make small changes that can dramatically improve their business. 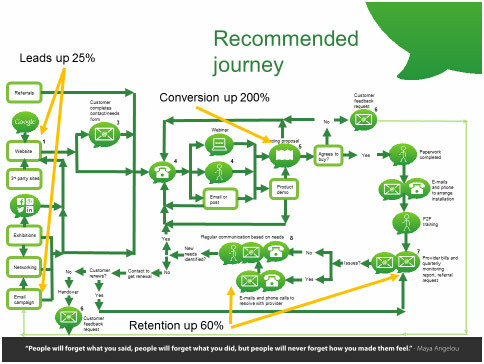 Why journey mapping? – we use this method because it’s simple and it works. People learn in 3 different way – through words, pictures or by listening. 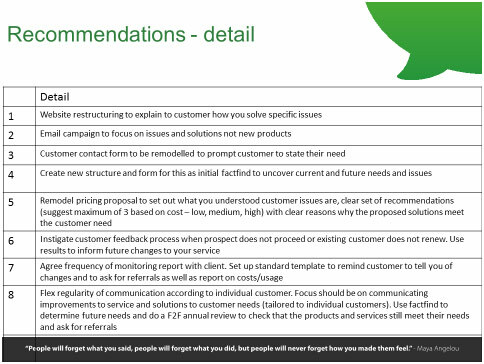 We map all the different steps a customer could take through your business, creating a very clear picture, then we detail all the possible issues and our recommendations in words, and then we talk you through everything. Because the changes we made were small, the map doesn’t look much different – but look at the effect they had!